Hello, Diane with you today. as one of the other designers has stepped down. but I hope you will enjoy them anyway...I will be here every Tuesday. 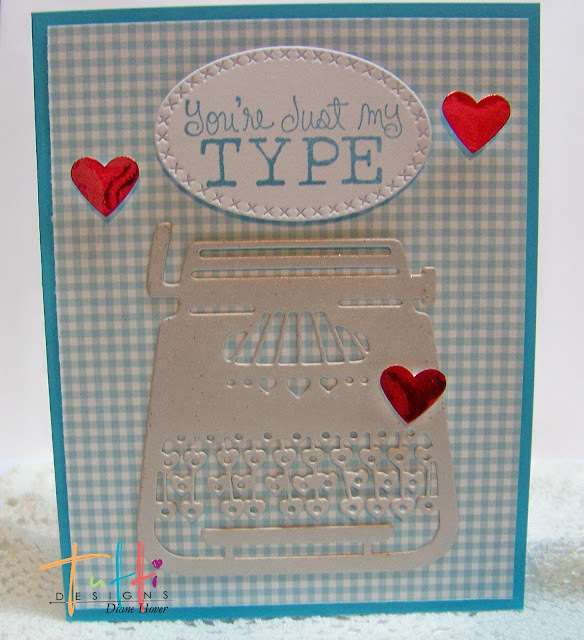 Today I have a fun card created with Tutti Designs Love Typewriter. 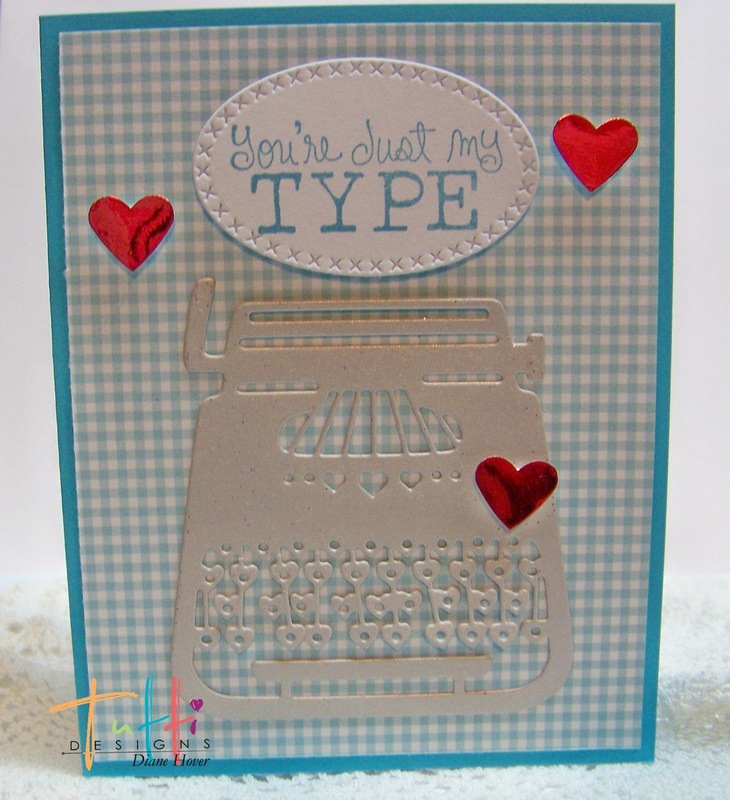 I die cut it from a metallic gray paper. 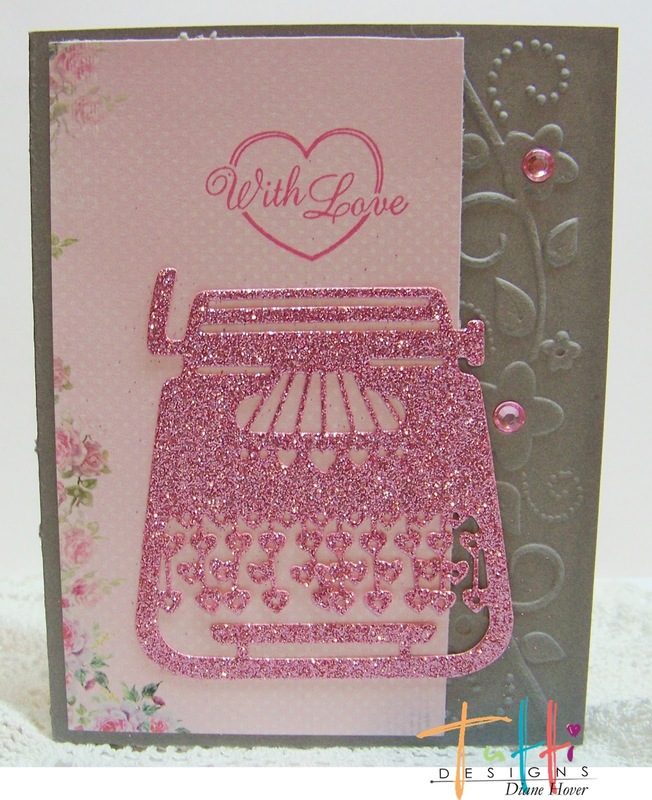 I added a few little red metallic hearts. and stamped on the Tutti Designs Cross Stitch Nesting Ovals. I have 2 more cards using the same die in different ways. wouldn't that be fun to have one of these?? These are all fantastic! What wonderful inspiration using this fun typewriter die ... thanks! 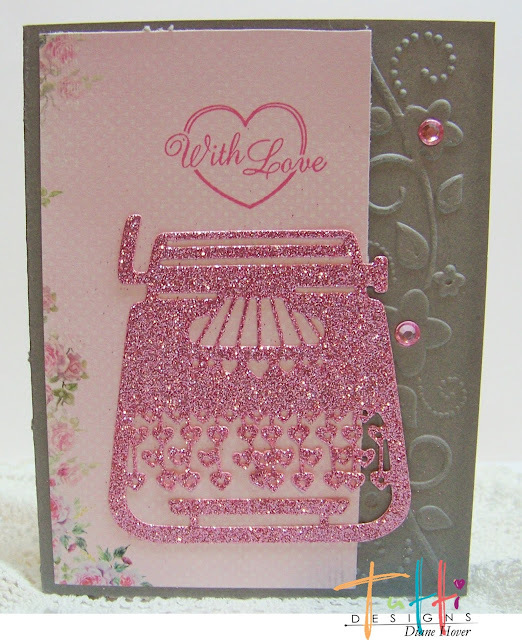 Very cool, like the shine and glitter! Way to go! 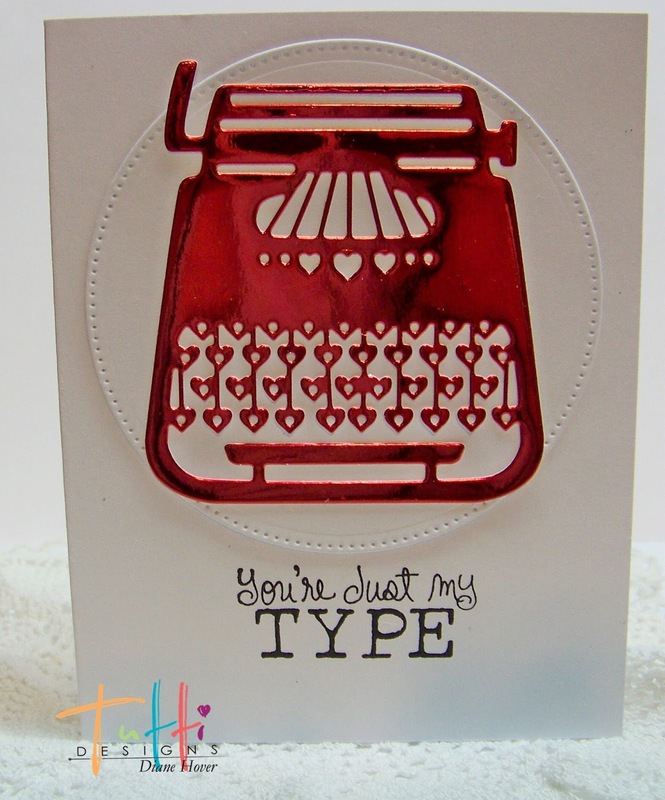 Oooo, love all of these fun Valentines! Welcome, Diane! So cute! I love that die! !